I cannot remember the last time I read a case where the Court of Appeal heard evidence from witnesses (who had not been heard below) and made a request that it have sight of original documents. This is what happened in Payne & Anor v Payne  EWCA Civ 985 where judgment was given today. The case also shows that omissions were made in case management, highlighting just how important the process is. (1) Any testamentary document of the deceased person in the possession or control of any party must be lodged with the court. (b) by a defendant when he acknowledges service. There was a dispute between two family members as to the validity of two wills. The first in time, the “1998 will”and another will the “2012 will”. After a trial the judge found that both wills were invalid and that the deceased was intestate. On appeal the Court of Appeal sought sight of the original will (that had not been before the trial judge) and heard from one of the individuals who had witnessed the will (who had not given evidence before the trial judge). The Court of Appeal, after hearing and viewing new evidence, held that the 1998 will was a valid will. However it showed a number of errors in relation to procedure. The Court of Appeal set out the history of the matter and the fact that there were two contested wills. A further problem is that the judge and the parties did not have a complete copy of the 1998 Will to work from, and they were unable to inspect the original even though it was known by Mrs Payne to be held at the Winchester District Probate Registry. This was a serious procedural irregularity that should never have been allowed to happen. It has long been a requirement in probate claims that “Any testamentary document of the deceased person in the possession or control of any party must be lodged with the court”: see CPR rule 57.5(1). 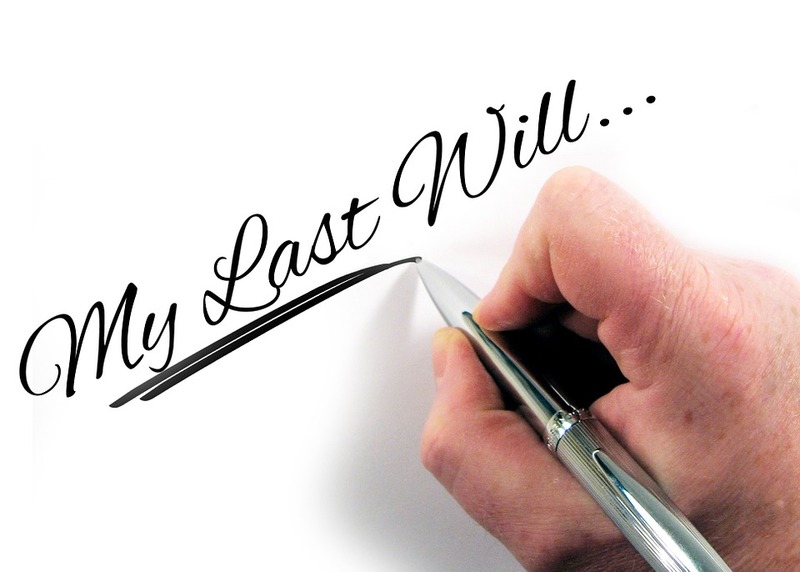 “Testamentary document” is widely defined, by rule 57.1(c), as meaning “a will, a draft of a will, written instructions for a will… and any document purporting to be evidence of the contents, or to be a copy, of a will which is alleged to have been lost or destroyed”, and “will” includes a codicil. By virtue of rule 57.5(2), unless the court otherwise directs, the testamentary documents must be lodged in the “relevant office” by the claimant when the claim form is issued, and by a defendant when he acknowledges service. In the present case, the “relevant office” would initially have been the Bristol District Registry. In the present case, it seems that these requirements were complied with by John Payne when the claim was issued in August 2014, but although Mrs Payne filed an acknowledgment of service she evidently failed to comply with them herself, and for some unexplained reason the point does not appear to have been picked up when the case was transferred to the Chancery Division in London and a hearing for directions took place before Master Teverson on 7 January 2015. By this stage, Mrs Payne was represented by counsel instructed through the Bar Pro Bono Unit, and although she had not filed a defence in due time, a draft of her proposed defence and counterclaim was provided to the court. The Master gave directions extending time for the filing of her defence and counterclaim until 8 January 2015, with permission to the claimants to file and serve a reply and defence to counterclaim by 4 February 2015, and he directed a costs and case management conference to take place on 12 February 2015. In the event, the timetable for filing Mrs Payne’s defence and counterclaim seems to have slipped, because the document in our bundle is dated 30 June 2015; and if any reply and defence to counterclaim was ever served, we have not seen it. Nevertheless, the further hearing on 12 February 2015 did take place, attended by counsel on both sides, and the Master then gave directions for trial of the action following transfer to the County Court at Central London on the first open date after 1 June 2015 with a time estimate of three days. Meanwhile, there was to be standard disclosure of documents, and exchange of witness statements by 24 April 2015. The order said nothing about the defence and counterclaim, which as I have noted had apparently not yet been filed, despite the direction given on 7 January 2015. Instead, the February order expressly noted that Mrs Payne was not putting forward a positive case that the 2012 Will was not signed by the Deceased, but rather her case was “that by reason of the circumstances the document was not executed or witnessed on 1 April 2012”. With two unrepresented parties before us, it is difficult to know what to make of the procedural history which I have tried to piece together. On any view, the management of this case appears to have been unsatisfactory, and everybody seems to have lost sight of the imperative need for Mrs Payne to comply with the requirements of rule 57.5. It also seems possible that, as at the hearing on 12 February 2015, Mrs Payne was no longer intending to pursue her counterclaim, but was concentrating instead on the execution of the 2012 Will, in the mistaken belief that proof of the 1998 Will would be a mere formality if the 2012 Will could be eliminated. No competent counsel advising Mrs Payne could have given such advice, and with the scanty material available I certainly do not wish to criticise the barrister who was acting for Mrs Payne on a pro bono basis. But equally I feel unable to rule out the possibility that Mrs Payne, perhaps through a misunderstanding, gained the false impression that the trial directed by the Master was to be limited to an investigation of the formal validity of the 2012 Will. Even if that was the position, however, I do not see how the misapprehension could reasonably have continued after Mrs Payne’s defence and counterclaim was eventually filed, and by the time the case came on for trial before the judge, it should have been obvious to Mrs Payne that the validity of both wills was in issue. That is clearly what the judge understood the position to be, although the passage which I have quoted from her record of Mrs Payne’s cross-examination suggests that Mrs Payne may still have failed to recognise the need for her to adduce positive evidence in support of the 1998 Will. Be all that as it may, one most unfortunate result of the procedural history which I have outlined is that the case came on for trial without the court or the parties having seen the original of the 1998 Will, even though Mrs Payne produced an email from the Winchester District Probate Registry on the third day of the trial confirming that they held the original of it. As I have already said, no steps were taken to remedy this omission before the hearing of the appeal, so we too had to proceed with only the cropped photocopies used below. We said, however, that we were not prepared to give judgment until the original had been produced, and we then made an order for its production which was duly complied with on 3 April 2018. (Although the 1998 Will was held in Winchester, the order for its production had to be made through the Leeds District Probate Registry, which apparently deals with all such requests). Although I have much sympathy for the judge, who clearly did her best to deal fairly with Mrs Payne’s counterclaim in very difficult circumstances, there are in my judgment significant grounds for concern about the judge’s decision to reject the 1998 Will. In the first place, the judge pronounced against it even though it appeared on its face to be validly executed, and there was no requirement in law for the witnesses to have “signed” the will in the usual modern sense of that word, as opposed to writing their names with the intention of attesting it. Secondly, the judge reached her decision without having seen the original of the 1998 Will, even though it was known by the end of the trial to be held in the Winchester District Probate Registry, and it was clear from the photocopies of it in evidence that the full text had not been reproduced, at least at the foot of the page. Thirdly, the judge knew that Mrs Payne belatedly wished to adduce written evidence from the two attesting witnesses, but she seems to have taken the view that this could not be permitted unless the claimants consented, which (through their counsel) they did not. Although Mrs Payne was a litigant in person, the judge does not seem to have considered, if necessary of her own motion, whether the interests of justice might have required an adjournment so that the original of the 1998 Will could be obtained, and arrangements could be made for the attesting witnesses (or at least one of them) to attend court and give oral evidence. e) the disapplication of the usual rules on discontinuance of actions in CPR Part 38. If the judge had had these considerations in mind, as well as the unsatisfactory procedural history which I have related, she ought in my judgment to have concluded that she could not safely pronounce against the 1998 Will without it being produced to the court, and without an opportunity for evidence to be given by at least one of the attesting witnesses. The special importance of hearing evidence, if at all possible, from an attesting witness is reflected in the long-established rule that such a witness is treated as a witness of the court, whose duty it is to give to any party who asks for it an account of the circumstances in which the will was executed: see Williams, Mortimer and Sunnucks, Executors, Administrators and Probate, 21st edition, paragraph 32-10. Furthermore, the cases establish that at least one attesting witness must be called, if available, in a defended case: ibid, Oakes v Uzzell  P 19, Bowman v Hodgson (1867) 1 P & D 362 and Belbin v Skeats (1858) 1 Sw. & Tr. 148. In the light of these principles, the judge was in my respectful opinion wrong to pronounce against the 1998 Will on the basis of the evidence as it stood at the conclusion of the trial. She should have appreciated that the issue could not be justly resolved without production of the 1998 Will itself, and without hearing evidence from at least one of the attesting witnesses. This would have necessitated an adjournment, but there are occasions, of which this was one, when an adjournment is the price which has to be paid if justice is to be done. It also follows, in my view, that Mrs Payne’s application to adduce fresh evidence on her appeal must be granted, because without the evidence of Mr Gordon the court is unable to pronounce on the validity of the 1998 Will, and the interests of justice require that it should be admitted to probate if it was validly executed. Although an appellate court will not normally grant permission for fresh evidence if it could with reasonable diligence have been adduced at trial, in accordance with the well-known principles in Ladd v Marshall  1 WLR 1489 (CA), those principles do not place the court in a straitjacket, and there are times when the overriding objective of enabling the court to deal with cases justly must prevail even where the evidence in question could and should have been obtained in good time for the trial. I am satisfied that the present case is one of that character, with the consequence that we should admit the evidence of Mr Gordon. When his evidence is taken into account, in conjunction with the original of the 1998 Will, I am left in no doubt that the 1998 Will was validly executed. I would accordingly allow Mrs Payne’s appeal, and, if Flaux LJ agrees, this Court will pronounce in solemn form of law for the force and validity of the 1998 Will. In reaching this conclusion, I have taken into account the brief oral submissions which John Payne made to us at the hearing. He questioned whether the court could properly proceed on the evidence of only one of the attesting witnesses, but the authorities are clear that it is unnecessary for both of them to be called, and Mrs Payne was able to satisfy us that she had made all reasonable efforts to contact Mr Hogwood during the weeks leading up to the hearing before us, but with no success. As to the oral evidence of Mr Gordon, John Payne merely said that “it is what it is” and left us to make of it what we would. As I have explained, I have no hesitation in accepting Mr Gordon’s evidence.